Our morning includes informal social time, breakfast, an informative speaker and discussion groups. Join us for a relaxing morning and insightful wisdom on guiding your teen during this important stage of parenting. Join us for our new Evening Session! 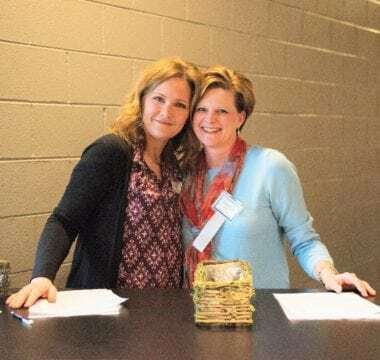 Working moms of teens and tweens can find community and connection with each other from 7:00 to 9:00 p.m. on the same day as the morning session. To Register for either session, click below! Build into your teens’ sense of identity and purpose so they can live more meaningful lives! We meet six times from September through April, typically on the last Thursday* of the month. Morning Sessions meet from 9:15 – 11:15 a.m. and evening sessions meet from 7:00 – 9:00 p.m.
*Moms Connected meets on the first Thursday of December and does not meet in November or March. Child care is available at the morning sessions only. To secure a spot, please register at least one week prior to each session. Morning sessions are $6 for Mom only, $10 for Mom and one child and $12 for Mom and two or more children. Evening sessions are $5. Cash and check are accepted at the door. To pay by credit card, please download the Chapelstreet Church app, available on the App Store or on Google Play. All sessions will take place at Chapelstreet Church’s South St. Campus, 2300 South Street, Geneva, IL. Morning sessions will meet in the Student Center and evening sessions will meet in the Chapel. Contact us at momsconnected @chapelstreetchurch.com.